By Louis Jacobson on Tuesday, February 12th, 2019 at 9:40 a.m.
You may have heard a lot recently about the "Green New Deal," championed by Rep. Alexandria Ocasio-Cortez, D-N.Y., and co-sponsored by more than 60 Democratic members of the U.S. House of Representatives. But what’s it all about? Let’s take a closer look. What is the "Green New Deal"? Officially, the Green New Deal is a House resolution that Ocasio-Cortez introduced on Feb. 7, 2019, following months of discussion among progressive lawmakers and activists. There’s also a companion measure in the Senate, introduced by Sen. Ed Markey, D-Mass., and co-sponsored by nearly a dozen senators. Broadly, these resolutions address ways to curb climate change and protect the environment. It doesn't lay out any new taxes or revenue streams other than saying that these changes will pay for themselves. Here are some of the key points in the House resolution. • "eliminating pollution and greenhouse gas emissions as much as technologically feasible"
• "building or upgrading to energy-efficient, distributed, and ‘smart’ power grids, and ensuring affordable access to electricity"
• "working collaboratively with farmers and ranchers in the United States to remove pollution and greenhouse gas emissions from the agricultural sector as much as is technologically feasible"
• "guaranteeing universal access to clean water"
• "building resiliency against climate change-related disasters, such as extreme weather"
• "upgrading all existing buildings in the United States and building new buildings to achieve maximum energy efficiency, water efficiency, safety, affordability, comfort, and durability, including through electrification"
• "clean, affordable, and accessible public transit, and high-speed rail"
• "making public investments in the research and development of new clean and renewable energy technologies and industries"
Observers who have been tracking the process said that the resolution -- while far-reaching -- is more restrained than some earlier drafts. For instance, the resolution doesn’t explicitly rule out nuclear power and carbon capture and storage as methods that could be used to reach zero-emissions goals, said Paul Bledsoe, a strategic adviser with the center-left Progressive Policy Institute who previously worked on Capitol Hill and the Clinton administration. Is the text of the Green New Deal resolution all about the environment? No. The proposal goes beyond climate change and the environment to incorporate everything from racial justice to labor union policy. Here are some of the elements that are included in the resolution. • "to promote justice and equity by stopping current, preventing future, and repairing historic oppression of indigenous peoples, communities of color, migrant communities, deindustrialized communities, depopulated rural communities, the poor, low-income workers, women, the elderly, the unhoused, people with disabilities, and youth"
• "providing resources, training, and high-quality education, including higher education, to all people of the United States"
• "strengthening and protecting the right of all workers to organize, unionize, and collectively bargain free of coercion, intimidation, and harassment"
• "guaranteeing a job with a family-sustaining wage, adequate family and medical leave, paid vacations, and retirement security to all people of the United States"
• "providing all people of the United States with high-quality health care, affordable, safe, and adequate housing, and economic security"
Some environmentalists have expressed concern that including such elements in the resolution risks watering down its focus. "There is some consternation that it’s conflating social justice, employment and health care goals into the climate framework," Bledsoe said. "I keep hearing people say, ‘Enacting climate legislation is hard enough without also guaranteeing everyone a job.’ "
I’ve heard something about a ban on farting cows. What’s that about? We should distinguish the official resolution with some additional documents that were posted and shared by Ocasio-Cortez’s staff around the time the resolution was introduced. Once they became public, portions of these additional documents became grist for ridicule among her critics. Some critics took aim at a line in one of the FAQs that said "we aren’t sure that we’ll be able to fully get rid of farting cows and airplanes." The same document promised "economic security for all who are unable or unwilling to work." In a tweet, President Donald Trump said, "I think it is very important for the Democrats to press forward with their Green New Deal. It would be great for the so-called ‘Carbon Footprint’ to permanently eliminate all Planes, Cars, Cows, Oil, Gas & the Military — even if no other country would do the same. Brilliant!" While these lines did apparently originate with supporters of the Green New Deal, none of these objects of derision are actually in the official resolution. Ocasio-Cortez’s office didn’t respond to an inquiry for this article, but they have said that the only document that carries any weight is the resolution itself, not the FAQs. "We did this in collaboration with a bunch of groups and offices over the course of the last month," her chief of staff, Saikat Chakrabarti, tweeted on Feb. 9. "As a part of that process, there were multiple iterations, brainstorming docs, FAQs, etc. that we shared. … Mistakes happen when doing time launches like this coordinating multiple groups and collaborators. It's hard to have both a transparent and open process with many stakeholders while keeping all info locked down." Is it significant that this has been released in the form of a House resolution? Legislative experts described the use of a resolution, rather than binding legislation, is an unusual approach by historical standards. "Offhand, the only thing I remember like it was Newt Gingrich's Contract With America in 1994," said Charles Tiefer, a University of Baltimore law professor who previously served as deputy general counsel for the U.S. House of Representatives. "It was aspirational, with support largely within one party, suggesting the direction to go in when there was party gained strength in both chambers." But even with the Contract With America, Republican Party leaders touted the plan prior to the election and used it as their agenda; the Democratic leadership did not not do that with the Green New Deal. Jeremy Symons, a veteran environmental advocate in Washington, agreed that the resolution is "a vision with a broad architecture. It’s not a legislative roadmap. A lot of work is needed" to help turn it into legislation. It’s biggest value may be as a messaging document, Bledsoe said. Supporters have a "need to channel the enthusiasm and energy of this movement," he said. "So it has a role to play. But it’s less indicative of actual legislation than it is a framing of the issue." How might the ideals in resolution be turned into something more concrete? The real action, observers say, will occur in some of the House’s most influential committees, which are expected to focus on portions of the resolution that are in their areas of jurisdiction. For instance, Bledsoe said he expects the Energy and Commerce Committee to consider legislation to pursue a zero-carbon electricity generation standard; for the Ways and Means Committee to look at bolstering tax incentives for renewable energy and possibly taking up a carbon tax; for the Transportation and Infrastructure Committee to look at ways to reduce emissions in the transportation sector; for the Natural Resources and Agriculture committees to consider bills to reduce emissions in farming; and for the Appropriations Committee to weigh expanded funding for technological research. Even if these bills pass the House, they would be much less likely to pass muster in the GOP-controlled Senate or with the president. But major legislative efforts often begin with measures passed in one House which are then returned to several years later when the control of Congress and the White House changes. How much support does the Green New Deal have? It currently has more than 60 supporters in the House, which is a sizable number for a new proposal of this sort, but is still far from a majority of the House Democratic caucus, much less a majority of the whole House. (The numbers of co-sponsors could rise over time, of course.) Many of its supporters in the Senate are running for president. House Speaker Nancy Pelosi, D-Calif., initially seemed to damn the resolution with faint praise, telling Politico that the resolution "will be one of several or maybe many suggestions that we receive. The green dream or whatever they call it, nobody knows what it is, but they’re for it right?" She expressed somewhat more enthusiasm the following day, saying at a news conference that she was "excited" about plan. 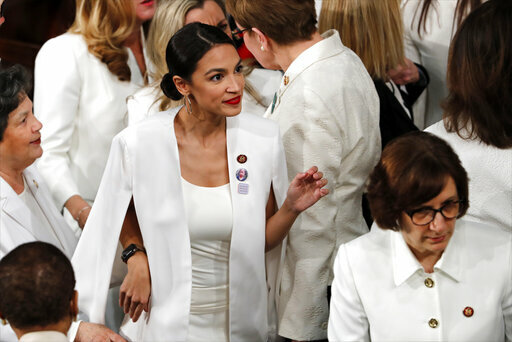 "I welcome the Green New Deal and any other proposals," she said. Most of the Democratic presidential candidates -- who are courting supporters from among the party’s progressive base -- have spoken positively about the idea of a Green New Deal, though it’s unclear whether they will all agree with every provision in the resolution. "This is all happening very fast, and it's too early to tell how much agreement and disagreement there will be" within the party, Symons said. "There are some core themes within the Green New Deal that are unifying within the climate movement, but we are a big tent with a lot of different voices and strategic approaches."